My many experiments in non-traditional baking have had mixed results—sometimes they turn out delicious, sometimes they are horrible failures, and sometimes they’re surprisingly, differently good. Because I’m lucky enough not to have any food allergies (*knocks on wood*), I’ve tried a lot of different methods, including gluten-free, grain-free, low-sugar, low-carb, and always with as little processed foods as possible. I feel experienced enough now to say that most of these substitution-based recipes are only better than the original if you have no other options (or are totally delusional). It’s the hard truth about healthy desserts. The results definitely range though, depending on the baked good, and I think cookie recipes are the worst offenders. No matter what healthier option you try to sub in or out, there is no cookie better than the one on the back of the Toll House bag (that recipe is nearly perfect, by the way – if you use a little less flour than called for, and a little more vanilla and brown sugar, you’ll have the ABSOLUTE perfect chocolate chip cookie). 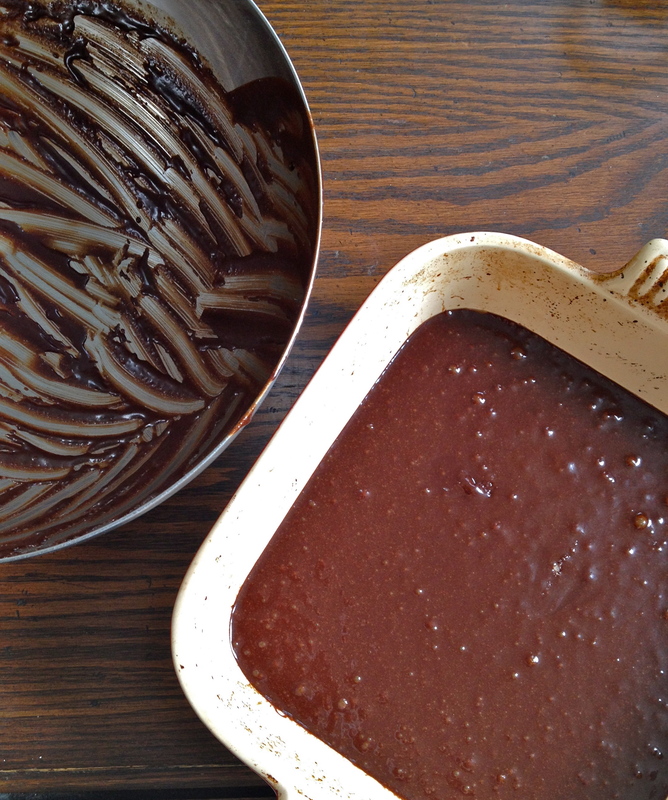 In a double-boiler, melt the butter and chocolate chips together until smooth. Remove from heat and let cool slightly before stirring in one egg at a time, followed by coffee, vanilla, and brown sugar. Sift together cocoa powder, coconut flour, potato starch, baking soda, and salt. Stir dry ingredients into batter and pour into greased 8×8 baking dish. Dot the surface of the batter with marshmallows. Love those cute & fluffy little pillows. Bake for 25-30 minutes, until the center is set. If you stick a toothpick into the center, it doesn’t need to come out totally clean, but it shouldn’t be wet. 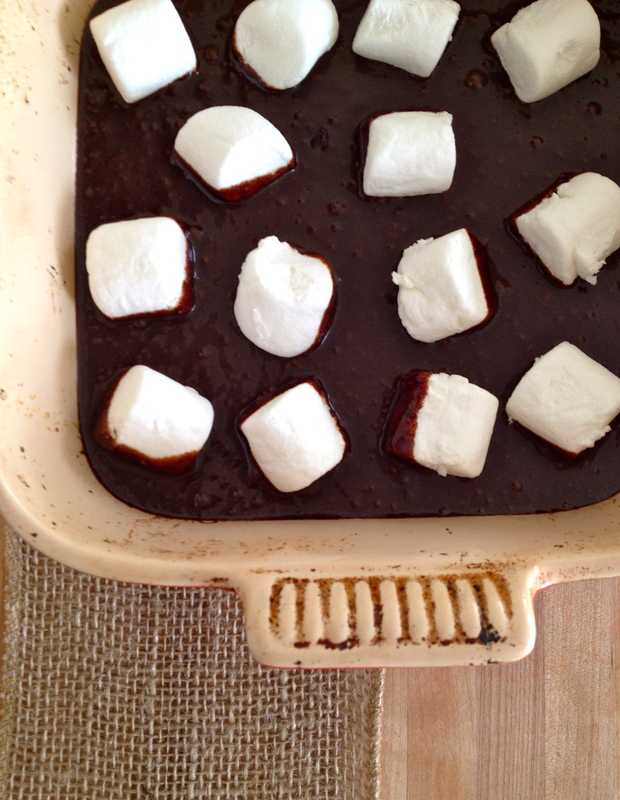 Be conscious of the marshmallows burning; I ended up tenting a sheet of foil over the pan to slow the browning partway through the bake time. 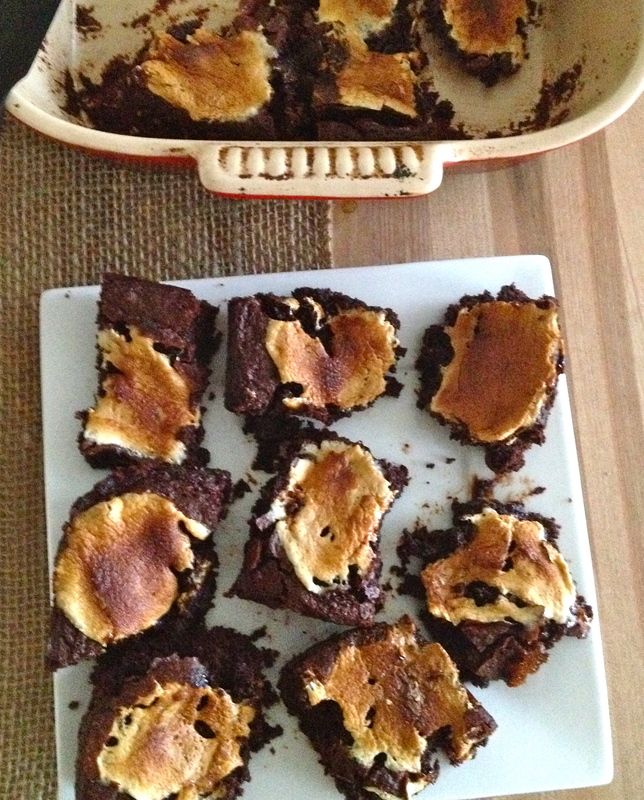 When the brownies are baked, remove them from the oven. 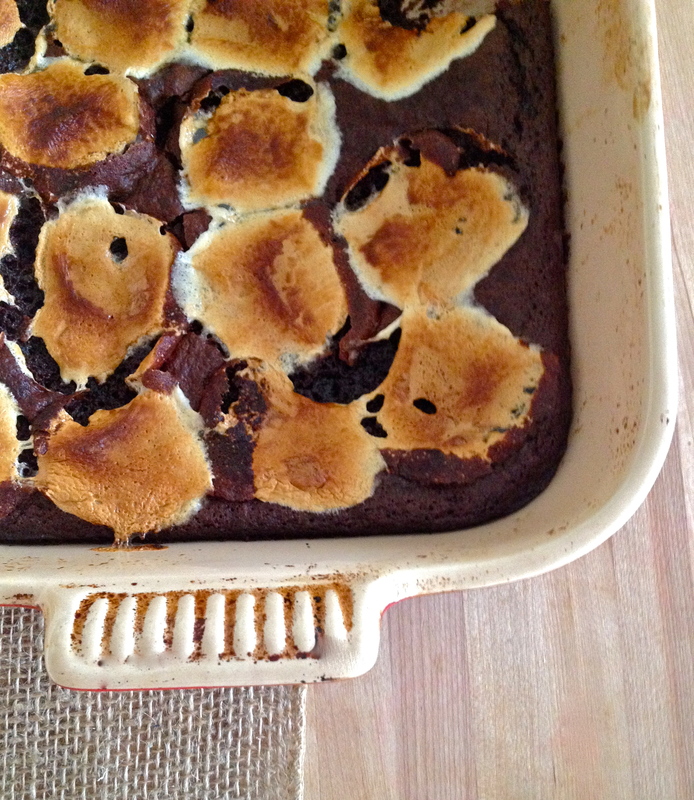 As they cool, the brownies and marshmallows will deflate and fall a little bit. Good, the more condensed the better! If you’re planning to cut the brownies into nice neat squares, you may want to adjust your expectations, because these are gooey and crumbly. You’ll want to cool them at least an hour, if not more, and potentially give them some fridge time to firm up if you need them to really hold together. 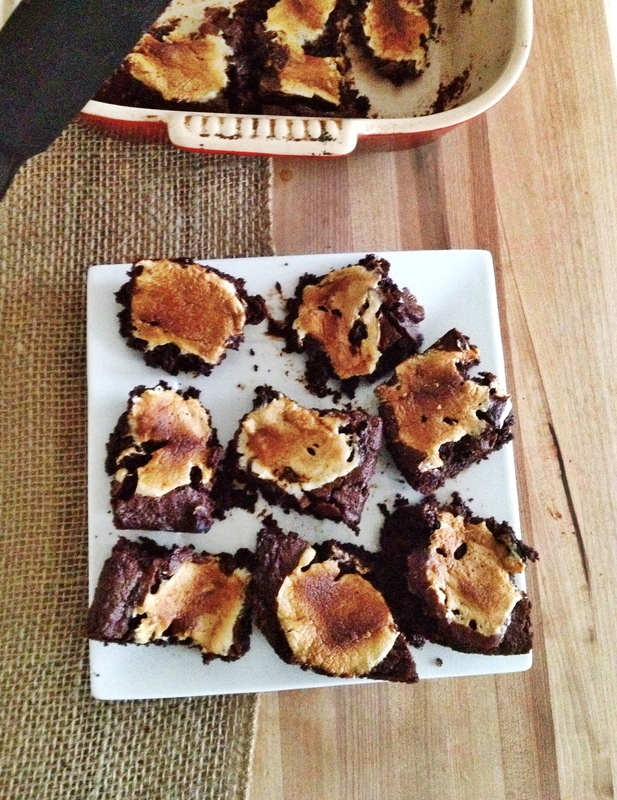 If you don’t mind a crumbly brownie, then ignore me and eat them whenever you want. They’re dang delicious! Yum yum extra yum. This looks like a guaranteed kid pleaser!